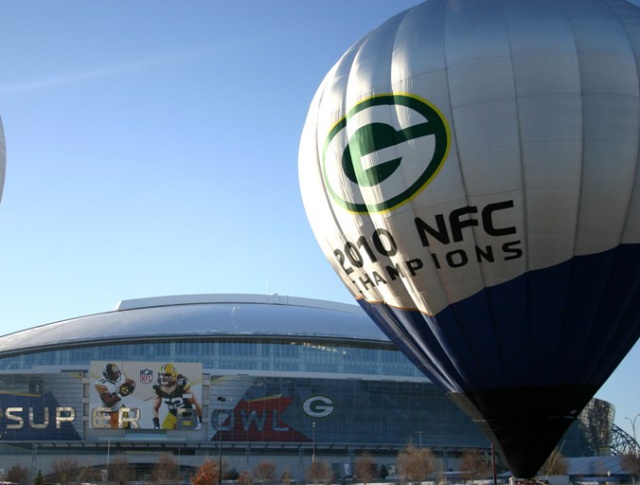 We return to Super Bowl XLV at Cowboy Stadium, our second project with the NFL. 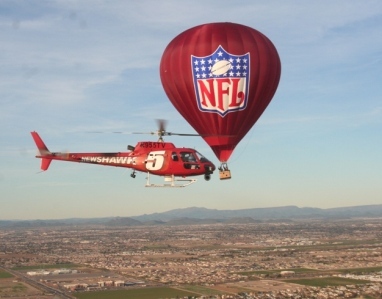 The NFL-Super Bowl Hot Air Balloon project was developed and co-ordinated by THC Associates. Reprint permission from THC Associates. Corporate hot air balloons are one of the most effective promotional tools any company can use in enhancing its overall image. Our events and promotions put clients ‘larger-than-life’ logos over millions of spectators, in front of the media and more importantly in family photo albums. The cost per thousand impressions (CPM) rating for hot air balloons compares very favorably to conventional media. 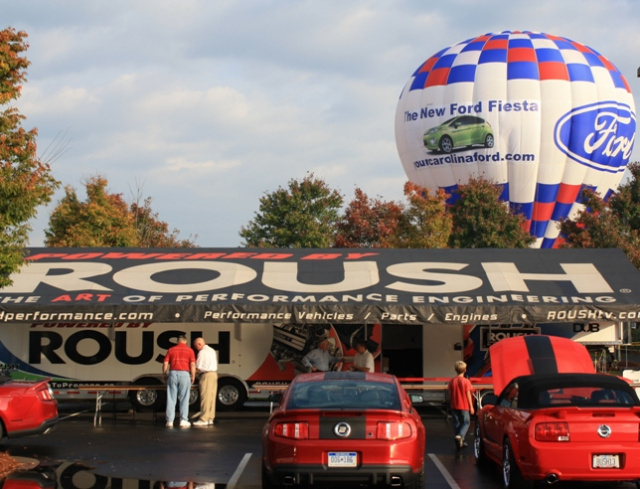 The FORD hot air balloon at Roush Fenway Racing's Fan Appreciation Day. Imagine how many people would see your balloon each time it flies over a major city. Maybe 100,000 people would see it in a single flight over a major market. Add to this the extra number of people who would see it at a large outdoor event and all of the media coverage the balloon will generate in just one year. Ask yourself - how many people took photographs of your last billboard campaign and put it on their wall or in their newspaper? the additional value of flying corporate guests, entertaining the media and potentially helping to raise large sums of money for charity. A typical national program may consist of major US balloon festivals, outdoor events like large music festivals, sporting events that include NASCAR races, NFL Football, Major Leagues Baseball, open golf championships, etc.